Choose from our broad MICS-optimized cannulae portfolio that includes dedicated venous and arterial cannulae (both for direct and femoral cannulation) as well as cardioplegia cannulae, vents and suckers for every surgical application. Smartly designed features that offer clinicians greater flexibility are the hallmark of LivaNova cannulae. By facilitating ease of insertion, achieving superior hemodynamic performance and improving the surgical view, our MICS cannulae contribute to minimizing the invasiveness of cardiac procedures. Our dual stage venous femoral RAP cannula is designed to drain from the superior and inferior vena cava without interfering with the atrium—and boasts an optimal pressure drop. Our Optiflow direct venous cannula achieves active and physiological venous drainage regardless of the position of the heart. 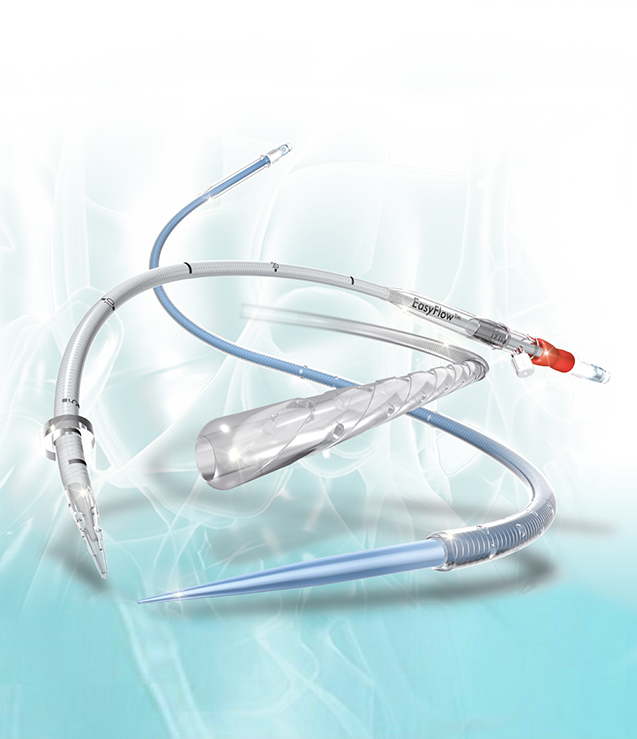 And our EasyFlow and EasyFlow DUO cannulae, with its unique obturator that allows bloodless insertion into the artery along with a more gentle flow, made possible with its special conical dispersion tip. For more information about LivaNova MICS cannulae, please visit our product highlights section. We’ve also added a new brochure to our digital hub, which you can download to view our complete line of high performance MICS cannulae for direct and femoral cannulation in minimally invasive cardiac surgery. Also available in our digital hub is a new video demonstrating cannulation procedure techniques with dedicated MICS LivaNova cannulae. The video provides an overview of our product line and features, as well as detailed animations of cannulation within human anatomy.